Divination by candlelight — time-tested way to know your fate. For fortune telling you will need a regular white candle and matches. As a rule, this method of obtaining a prediction is used to find out your immediate future and make a diagnosis of the present. Divination with a candle should be carried out in a dark room. Make sure that no one bothers you, as the ritual will require special concentration. Light a candle with a match and for 3-5 minutes look intently at the flame of fire. After extinguish the wick, not blowing on the fire and see how the wax burned. If the bed around the wick has burned out evenly — in your life in the near future there will be no special changes. If the bed burns out on one side — changes are waiting for you. If during the burning on the edge of the candle there is an influx that looks like a visor, then this means good luck in money and a quick profit. If the rush from the top of the candle is uneven or a bed with torn edges is formed, unexpected events await you that will affect your life in the best possible way. If the wax on the candle flowed and froze in the form of drops — tears and disappointments are waiting for you. 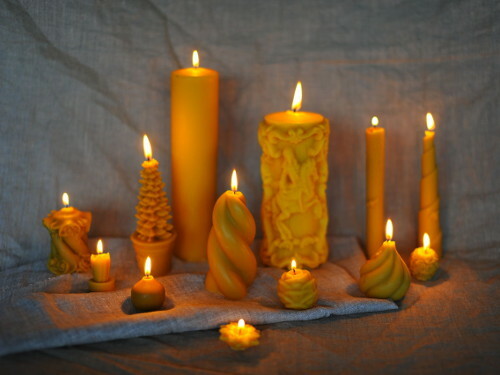 If the wax path is continuous on the candle — your business will go well. If the path is continuous but winding, you will encounter difficulties. If the path does not reach the bottom of the candle — in the future you will not finish the job or you will be disturbed. Also, this sign may mean that your plans fail. The wick leaned to the side — a sign that in the present you are doing something wrong. The wick broke or twisted — the foreshadowing of diseases. It can also mean that there is a lot of negative energy around you. The wick is worth exactly — a sign that you are on the right track and that in the future only positive events await you. If the wick is doubled, then now you are at a crossroads, or in the near future you have to make a difficult choice.